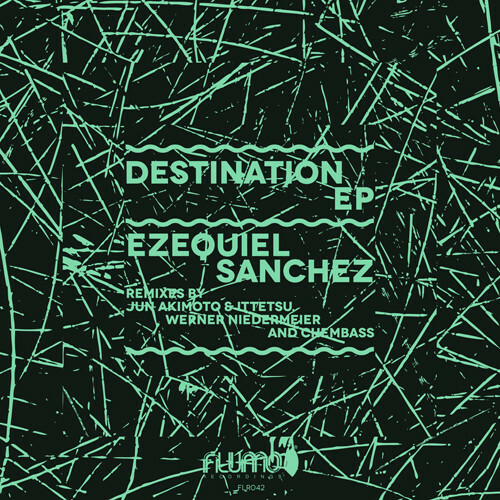 Underground House remix specialist, Ezequiel Sanchez seriously laced up his production shoes on this EP. From the onset, Sanchez delves deeper and darker finding a warm yet slightly haunting groove. Through a mesh of dense instrumentals the ‘Destination Original Mix’, explores this darker world. It’s got both the texture and feel of a late night set. The hard-hitting, distinct piano keys are reminiscent of a score to a yesteryear thriller/suspense scene. The well-placed vocal samples add to the aura the track builds upon for your listening experience. Chembass’s remix takes the reins on a similarly dark journey; however, with a more melodic bass line hanging in the background, coupled with well-placed snares and loops all working together in unison to produce a lighter, yet equally deep cut. My personal favorite is the ‘Jun Akimoto & Ittetsu remix’. This cut offers more warmth than the previous two. Its breaks and kicks in the right places. The tempo is lifted on the ‘Come With Me Original Mix’, featuring Dixie Yure on vocals. You somewhat get taken out of the ‘darkness’ on this joint. It tugs quietly at your soulful side thanks to the baritone-esque vocals. The synths and the groove hug you warmly making you want to start moving to the beat. The ‘Werner Niedemeier remix’ of ‘Come With Me’ is filled with lush synths and vocal loops over a banging bass line that marks this remix out as the one to draw people out and towards the floor. It has a get-busy feel is a welcome way to round off the EP. Editor’s Sidenote: The EP overall makes for some solid production and has some neat set openers to offer. Keep an eye and ear open for this one.